I am a human-computer interaction researcher and learning scientist focusing on enabling students to overcome obstacles to effective participation in their learning process. Currently, I am an Assistant Professor of Computer Science at Williams College. 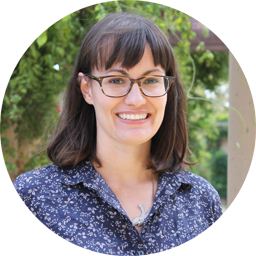 I have also spent some time as a postdoctoral research fellow in Stanford working with the LINK Research Lab and the Lytics Lab. My research combines human-computer interaction methodologies with an awareness of education research theory. To inform the design of educational technology for learners and instructors I perform user studies to understand human behavior and learning-processes in digital learning environments, develop approaches for refining and displaying relevant student data, and generate design recommendations by analyzing human behavioral responses and learning with these new approaches. It's an exciting time to be a computer scientist, making it an exciting time to spread the wealth of approaches, applications, and problem domains of the field to the future generations of computer scientists. I am driven by a goal of inclusivity in the classroom which is reflected in my project-based learning and evidence-based teaching philosophy. 2018/2019 courses: CSCI376: Human-Computer Interaction [F], CSCI134: Introduction to Computer Science (Diving into the Deluge of Data) [F], CSCI134: Introduction to Computer Science (Diving into the Deluge of Data) [S]. 2017/2018 courses: CSCI134: Introduction to Computer Science (Objects, Events, and Graphics) [F], CSCI11: eTextiles [W], CSCI376: Human-Computer Interaction [S]. This project explores the relationship between instructor and student understanding of the artificial intelligence (AI) algorithms that underlay their educational technology, and the impact of that algorithmic understanding on decision-making for learning. The research will involve studies with people to investigate how algorithmic understanding impacts system trust and decision-making for learning, as well as the development of "explainables" or brief, engaging interactive tutoring systems to provide algorithmic understanding to classroom stakeholders. These two thrusts will yield a framework for designers of algorithmically enhanced learning environments to determine what level of algorithmic understanding is necessary to achieve the goals of informed decision-making by users of their systems. The explainables developed by this project will be publicly accessible and usable by external projects, increasing algorithmic understanding for the initially intended stakeholders, but also for the general public. The main contributions of this work include a methodologically rigorous investigation of the knowledge components of algorithmic understanding for learning contexts that can be applied to model interpretability discussions in the wider machine learning community. The research involves systematically identifying the concepts that qualify as "understanding" an AI algorithm, building brief interactive tutoring systems to target those concepts, and observing resultant changes in system trust and decision-making for learning contexts. It combines approaches from the learning sciences, human-computer interaction, ethics, and machine learning. 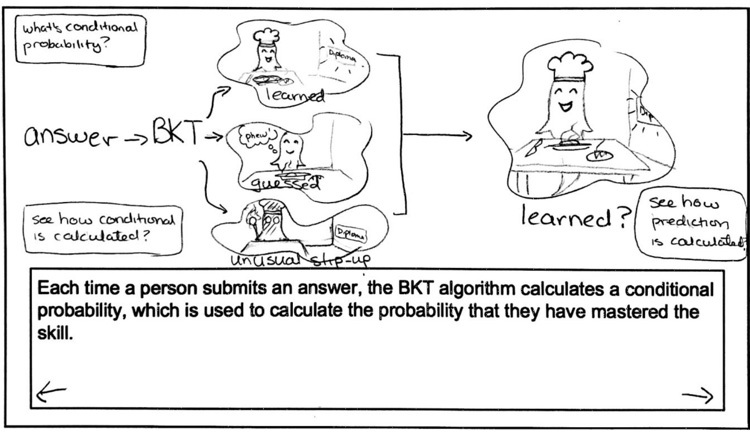 Student researchers will perform cognitive task analyses to identify hierarchical models of expert comprehension of AI models, apply a user-centered design process to develop explainables to teach the varying levels of expert comprehension, and perform evaluation studies comparing various explainables' impact on algorithmic understanding, trust, and decision making. 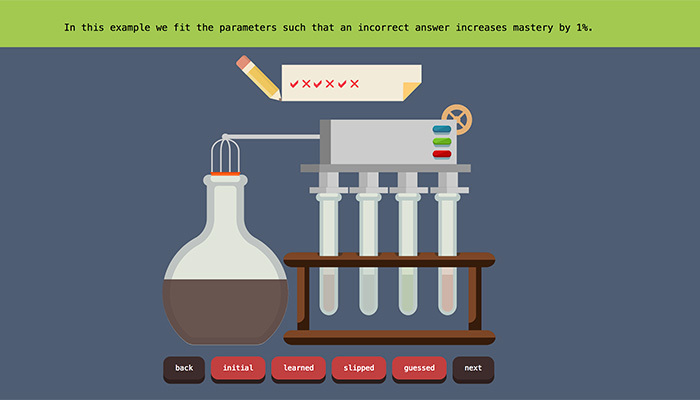 The results will add to ongoing discussions about ethical algorithmic transparency in the larger machine learning community, but also provide an actionable framework for developing a more AI-informed student and teacher body as well as lightweight explainables for appending to external algorithmically enhanced learning environments. Howley, I. (2019). NSF CRII: IIS: RUI: Understanding Learning Analytics Algorithms in Teacher and Student Decision-making. Holmes, W., Bektik, D., Woolf, B.P., Bosch, N., Doroudi, S., Howley, I., Sharples, M., Zhou, T., & Sheng, H. (in review). Ethics in AIED: Who Cares? In the Journal of Learning, Media, and Technology. Cho, Y., Mazzarella, G., Tejeda, K., Zhou, T., & Howley, I. (2018). 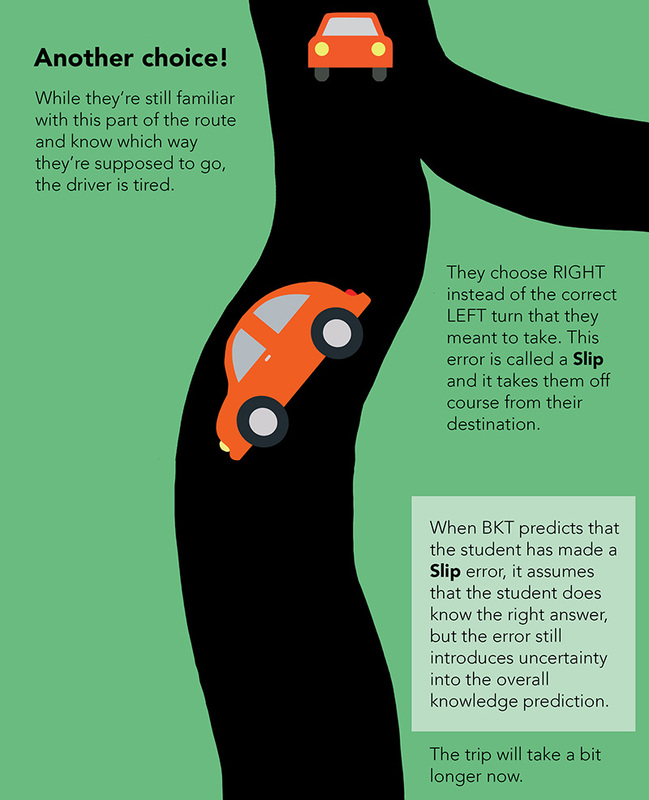 What is Bayesian Knowledge Tracing?. In IEEE VIS Workshop on Visualization for AI Explainability. Howley, I. (2018). 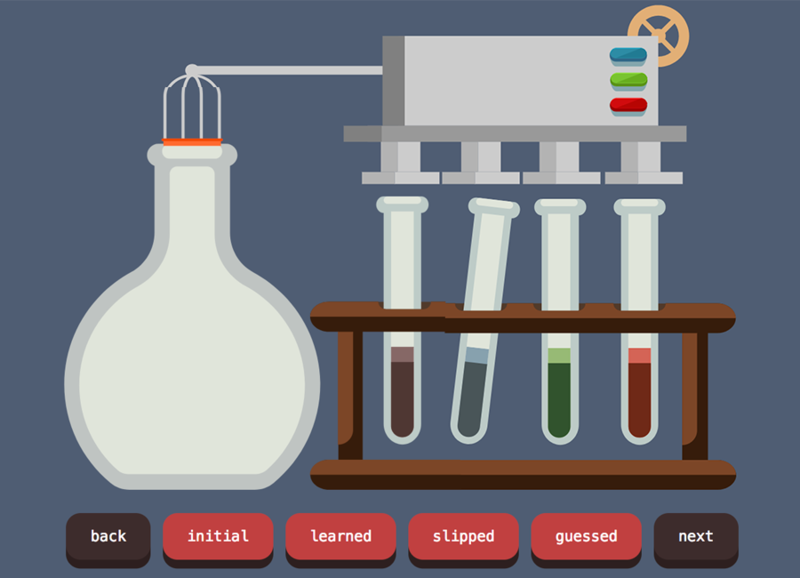 If an algorithm is openly accessible, and no one can understand it, is it actually open? In Artificial Intelligence in Education Workshop on Ethics in AIED 2018. Critical reading is an essential skill for participants in the civic dialogues and workplaces of the 21st century. 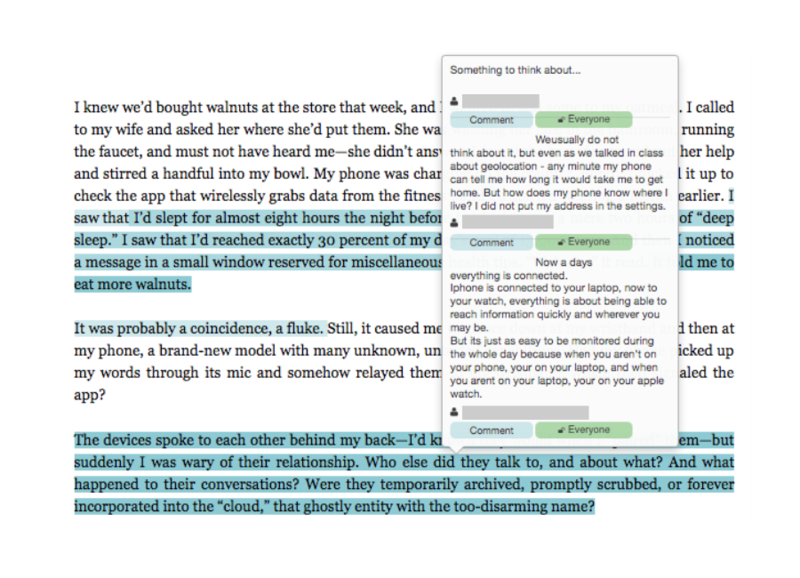 Digital annotations are a novel data source for making visible these reading strategies. 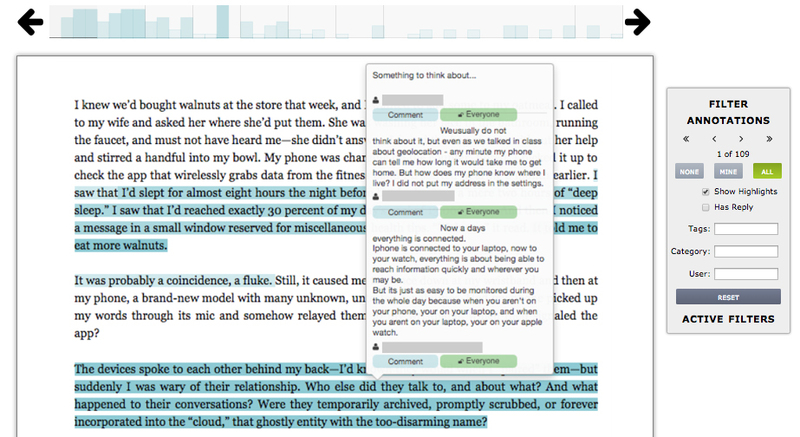 This work presents a step towards critical reading analytics by collecting digital social annotations and identifying student critical reading strategies across a diversity of college settings and texts. 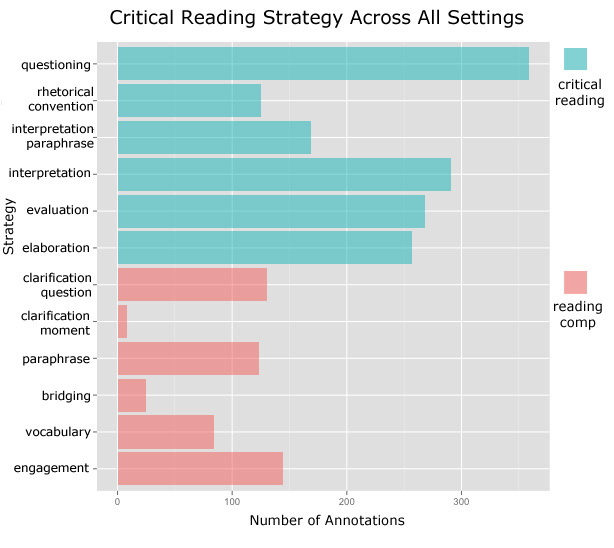 We synthesize prior research on critical reading to develop a data-driven, taxonomy of critical reading strategies. We then hand-code a sample for an exploratory analysis of student use of a digital social annotation tool. I advised Lester Lee '19 in an independent study on information visualization. As his final project, he examined the use of visualization in supporting curators, faculty members, and students in exploring, finding, and ultimately selecting artworks from a museum’s collection for teaching and learning. Current exploration tools are largely limited to keyword search, browsing by category, and filtering based upon artwork metadata. 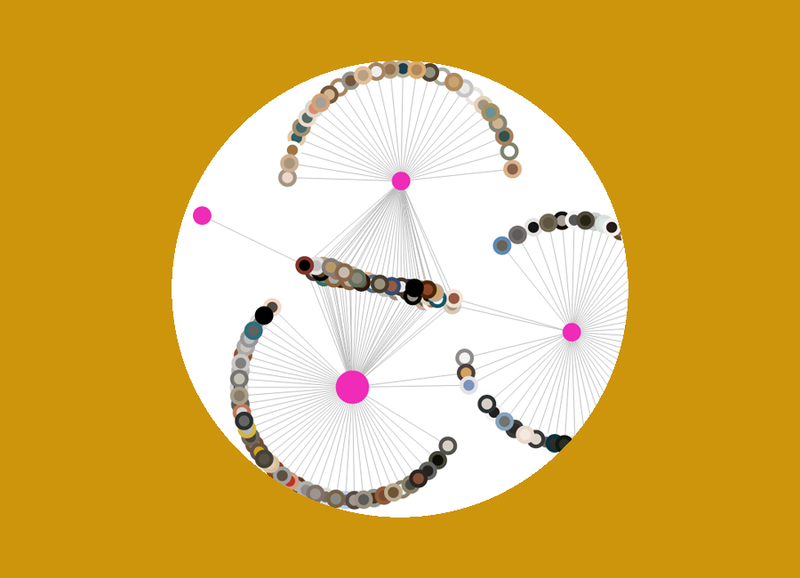 The WCMA Explore Tool allows users to visually browse the art museum’s collections based on appearance in exhibitions via a social network visualization, using each art piece’s color palette as its node representation in the visualization. Students in Massive Open Online Courses often do not receive the help they need from their course discussion boards. 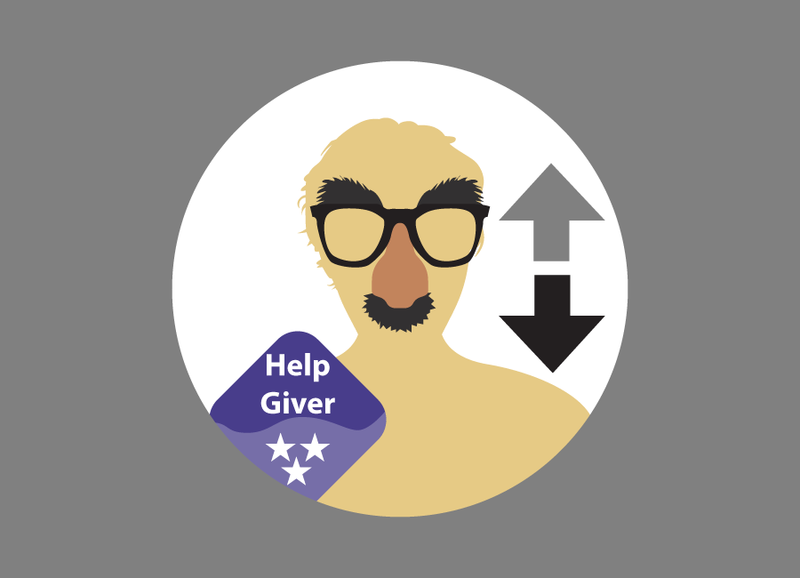 A social recommendation algorithm can select appropriate helpers for a student's question, but how do we present these helpers in such a way as to encourage help seeking? I answer this question by applying Expectancy Value Theory in this field experiment. 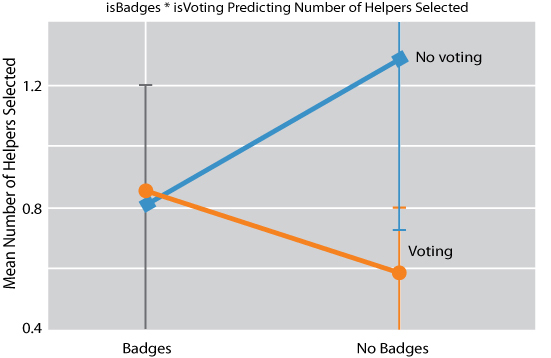 I looked at the effect of badges (expectation that there will be help), expertise about the potential helper (belief that the help will be accurate, good quality), and up & downvoting (a social cost of seeking help), and its impact on the number of helpers a student invites to his question thread in the forum. This resulted in a 2X2X2 experiment. Results showed a significant interaction between badges and up & downvoting. Knowing that their question will be voted on caused students to ask less helpers to their forum thread. 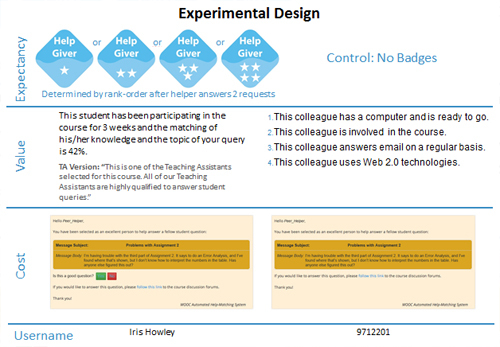 However, if the potential helpers were shown with badges, this negative effect was mitigated. Future work involves aligning our experimental manipulations with Expectancy Value Theory, as well as exploring the reduction in negative effects of other types of voting (i.e., upvoting only, voting on the question only, voting on the comments only, etc.). Up and down voting is often used in discussion forums as a way to reward and engage users for participating in the question and answer community. It can also be used to elevate higher quality responses or more popular questions in large discussion forums. 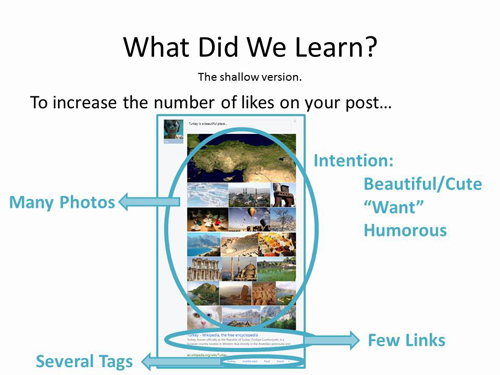 However, this experiment has shown that some formulations of up and down voting may actually inhibit help seeking. Going forward, I plan to offer empirically-derived design recommendations for course designers implementing discussion forums in their online courses. Howley, & Rosé, C. (2018). Empirical Evidence for Evaluation Anxiety and Expectancy-Value Theory for Help Sources. In the Proceedings of the International Conference of the Learning Sciences. While one-on-one human tutors are considered the gold standard of learning paradigms, why is it easier to seek help from computer tutors? Evaluation anxiety increases with heightened social presence and social role of the tutor, and in this experiment I investigate the impact social role (teacher or helper) and social presence (human or robot tutor) impacts help seeking in a lab experiment. I completed this work as part of an internship at the Advanced Telecommunications Research Institute International, in which over a period of twelve weeks I brainstormed, planned, and implemented the entire lab experiment with the help of my mentor, a post-doctoral researcher, and an administrative assistant. 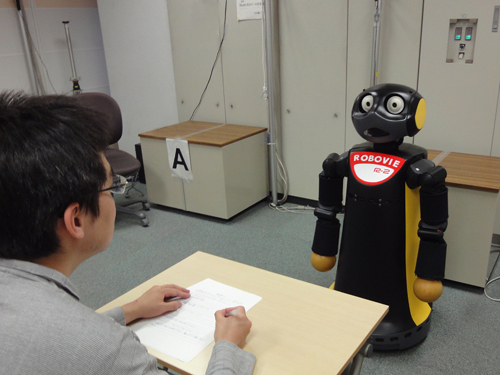 The results of my data analysis were published in the Proceedings of the 2014 Human-Robot Interaction conference. In order to explore the unique social positioning of pedagogical robots, I designed a 2X2 experiment crossing social presence (robots vs. humans) and social role (teacher vs. helper). Our hypotheses indicated that due to the reduced evaluation anxiety induced by robot tutors (less anxiety than human tutors), and helpers (less anxiety than teachers), participants would seek the most help from Robot Helpers and the least from Human Teachers. Results showed that participants learned significantly less from Human Teachers and that they asked marginally less questions from Human Teachers. Our hypotheses were mostly supported. While there was this distinction made between Human Helpers and Human Teachers, no such distinction was identifiable between Robot Helpers and Robot Teachers. Future work involves investigating these issues of evaluation anxiety and how they influence learning and help seeking in other situations with technologically mediated communication and learning. Methodology and further details and analysis of this work are available in the documentation below. Howley, I., Kanda, T., Hayashi, K., & Rose, C. (2014, March). Effects of social presence and social role on help-seeking and learning. In Proceedings of the 2014 ACM/IEEE international conference on Human-robot interaction (pp. 415-422). ACM. 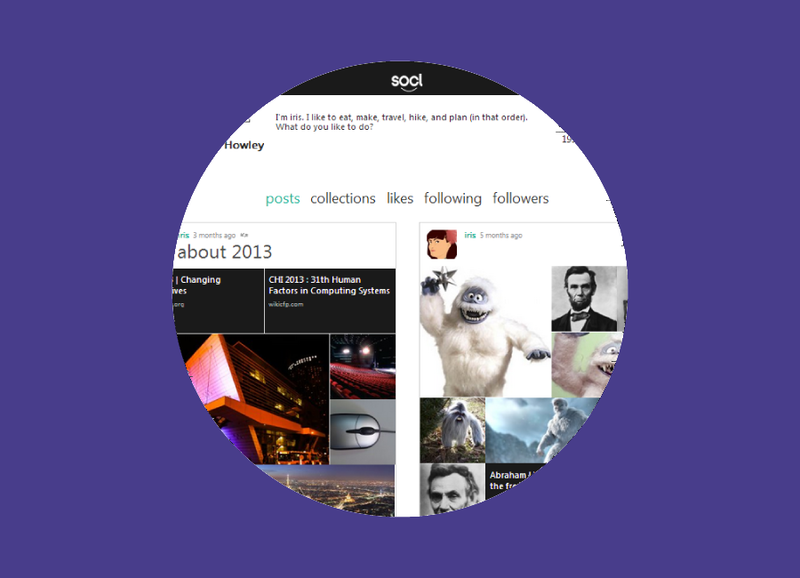 In this log analysis, I apply machine learning and text mining techniques to understand what features of members' posts increase community response in Microsoft's interest sharing network, So.cl. I used C# to gather and clean the data and machine learning packages developed in Java. This project was done as part of a summer internship I completed at FUSE Labs in Microsoft Research. In the first few of twelve weeks, I brainstormed research questions to ask about So.cl, Microsoft's interest-sharing network. It was important to me that my research questions and answers would provide some useful insight into user behaviors to both the research community and the development team. I worked with the product-oriented engineering team to retrieve the data necessary to answer my questions. Using C#, I cleaned and organized the data for my purposes and then applied discourse analysis methods to analyze the interest-sharing network data. This opportunity allowed me to experiment with a variety of automated topic modeling and clustering techniques. My findings were published in a short paper in the Proceedings of Human Factors in Computing Systems 2013 (CHI13). As a side bonus, I was also interviewed about my experience as an MSR intern for the MSR website news. Howley, I., & Newman, T. (2013, April). Factors impacting community response in an interest-sharing network. In Proceedings of the SIGCHI Conference on Human Factors in Computing Systems (pp. 2283-2286). ACM.